Is your meeting room capacity sufficient? New ways of working, innovative communication technologies, and changing business models have changed the way people use meeting and collaborative spaces. 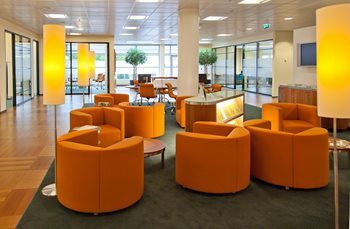 How can you really know whether your meeting room capacity still suits your business needs? Use this meeting room capacity indicator to check your capacity in a very simple way. How many hours per day are these meeting rooms accessible? How many employees use your meeting rooms? The average workspace costs around $8,000 per year, with only 50% of spaces used on a typical working day. Facility and Real Estate Managers are constantly looking for solutions to maximize occupancy, match supply and demand of spaces and services, as well as reduce costs and energy consumption. Agile Workplace Management helps meet these challenges by optimizing the utilization of your space and services in a continually changing working environment.